For quite some time now, large numbers of lunch-goers have been abandoning the usual lunch fare of sandwiches, burgers, pizza, and other carb-laden meals in favor of more nourishing, nutrient-packed options like salad. Equally as satisfying and undoubtedly as delicious, incorporating salad into your daily diet is not only sensible, but it provides you with the opportunity to mix and match virtually any ingredient imaginable. We’ve selected the following 5 light salad recipes for the warmer, sunnier spring days to come! 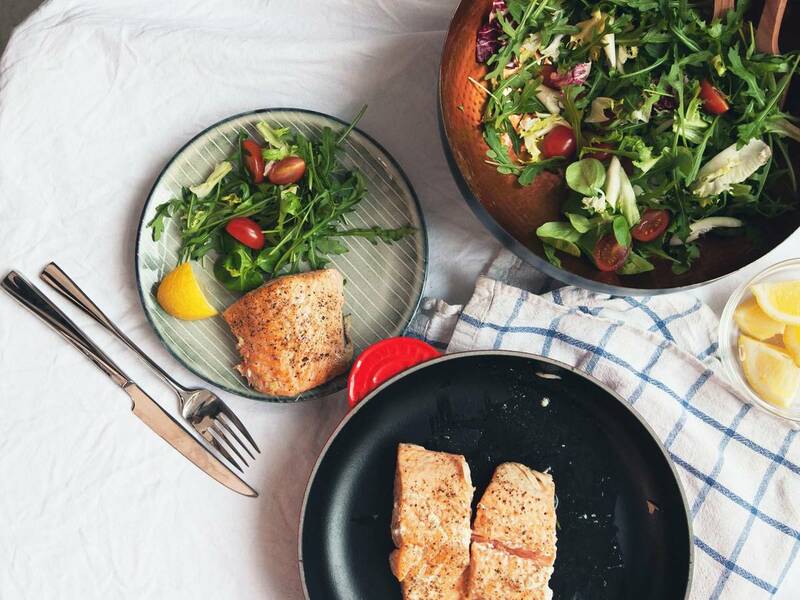 Salmon that’s pan-seared and then finished in the oven, making it crisp on the outside and juicy and tender inside. Cherry tomatoes and fresh baby spinach lend the dish a touch of sweetness, and everything is tied to together by a refreshing yogurt dressing. Fluffy couscous, aromatic roasted cashews, succulent pan-fried chicken and zucchini all work in concert to make one seriously delicious salad. A medley of vegetables, fresh seaweed, and a lightly sweet chili sauce make this Japanese salad the perfect match for a bright spring day! This refined chickpea salad with its exotic, Mediterranean ingredients will take your taste buds on a trip to flavor wonderland. Protein-rich quinoa, nutrient-dense sweet potato, spinach, carrot, apple, raisins and cashews—it’s not just a simple salad, but a model of nutrition that will charge you with superpower! Good and hungry? Then let’s greet spring with these 5 delicious salads!